I started learning to play guitar soon after my birthday in September, 1962. I used money I’d been saving for my class ring to buy an eighteen dollar Silvertone. I didn’t even know how to tune it. Digital tuners were many years in the future. With the folk fad in vogue at the time, I focused on learning finger picking. (Although I do strum some songs, I’ve never become comfortable or competent with a pick.) Learning the theory behind some of the basics didn’t take long, but making my fingers cooperate consistently seemed impossible. As strange as it might sound, John F. Kennedy’s assassination and funeral changed all of that. I was off from school, and nothing but JFK-related programming was on TV, so I had LOTS of time to really polish those finger styles. Although I’ve added a lot to my techniques since then, I count that as when I really caught on to learning to play. I do most of my playing now in my church’s nursing home ministry, where accuracy is less important than having a loving attitude. Not that I don’t practice quite a bit for the solo I do each week, but somehow I just don’t feel I still have what I used to have. Occasionally I even cheat and simplify something I’ve been doing a particular way for many years. But what if I reach the point of no longer being nimble enough to play at all? My mother was a very good pianist, but rheumatoid arthritis silenced her playing several years before her death. I don’t have any symptoms of that disease, but still…I don’t feel like I’m playing as well as I did ten or fifteen years ago. But this post isn’t about me. Not really. 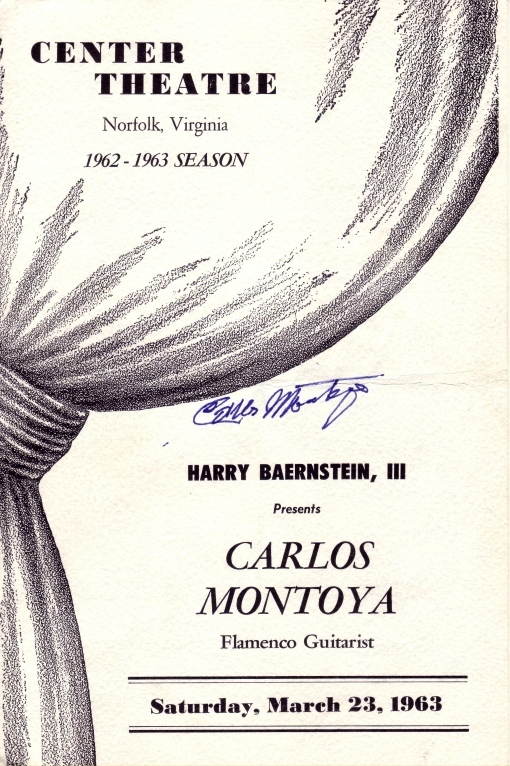 It’s about Carlos Montoya. 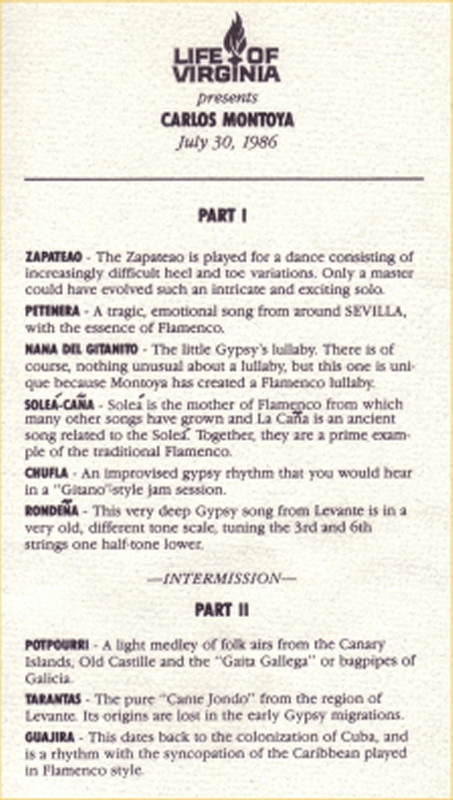 If you’re not familiar with Mr. Montoya, people considered him the finest flamenco (that’s Spanish gypsy music) guitarist around. He lived from 1903 to 1993. I went to see him in person while I was in high school—on Saturday, March 23, 1963. “Fabulous” doesn’t begin to describe his playing. Compared to him, I’ve never been a guitar player at all. I saw him again years later—on July 30, 1986—when he was eighty-three. 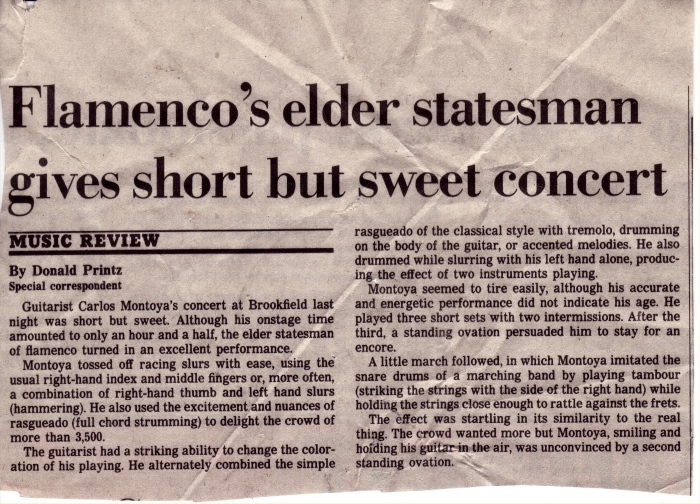 He wasn’t the same guitarist he’d been twenty-three years earlier, but nobody in that audience seemed to care. If anything, listeners were enthralled that he was still playing as well as he was. By the way, “On Aging Gracelessly” isn’t my only blog. I use “As I Come Singing” to post lyrics of the Christian songs I’ve written over the last fifty years. Free lead sheets (tune, words, and chords) are available for many of them. Because I’ve used up all of my songs, I repost an old post each Wednesday. If you’re interested, please check that blog out here. 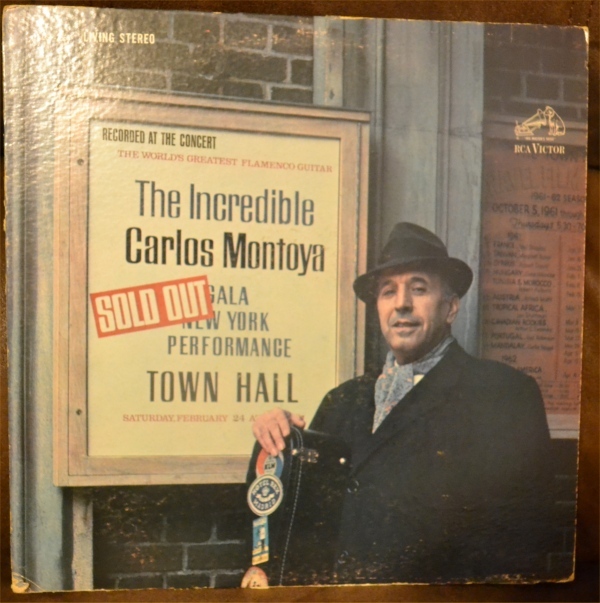 This entry was posted in Aging, Carlos Montoya, Fingers, Flamenco, Guitar, Nursing Homes, Uncategorized and tagged As I Come Singing, Carlos Montoya, Christianity, Flamenco Guitarist, On Aging Gracelessly, Roger E. Bruner. Bookmark the permalink. don’t sweat it brother ! after 38 yrs. , I’m playing better than I ever have in my life, though definitely not up to the technical level I have achieved in the past. my point is that, though I may have approached a particular song with a technical prowess greater than I now posses say, 20 yrs. ago, I SERVE the song today with a greater degree of empathy than I ever have. and when we play, isn’t that what we are actually attempting to do anyway ? I was often guilty in my younger days of impressing myself with the stuff I could do to the detriment of the overall expression of the song. don’t get me wrong, it is a bit of a hollow feeling to know you just can’t break out that lick anymore. but I find far greater satisfaction in knowing I can use my present skills (and, to a degree, the lack of them) to help carry the expression of the song to the listener with depth and feeling, to me, the very reason to play at all. thanks for touching this oft-neglected part of any mature musician’s life. Thanks for your comments, Danny. I think what you’re saying (and this is what I think of myself) in part is that you’re still a better musician now=-and that includes putting more of yourself into your music–even if your agility is less.